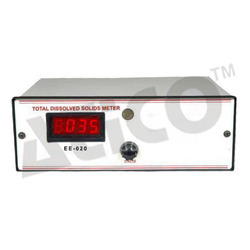 Providing you the best range of digital tds meter, ph meter, electronic digital colony counter, table top autoclave, nephelometer turbidity digital meter and digital photo electric colorimeter eight filter with effective & timely delivery. TDS Meter which checks the dissolved solid particles in the liquid, here the TDS stands for Total Dissolved Solids in the solution of Liquid. Finds great application in the Pharmaceutical Industry and the water management as well as those industries which require water for processing. 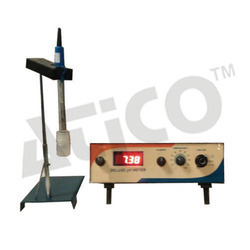 Temperature compensation 0 to 100°C (manual) complete with combined electrode with BNC Connector, buffer solutions Electrode stand. Colony Counter are biological procedures often rely on an accurate count of bacterial colonies and cells. Colony counters are used to estimate a liquid culture's density of microorganisms by counting individual colonies on an agar plate, slide, mini gel, or Petri dish. Sells large number of colony counter to various Pharmaceutical laboratories, research institutions and defense establishment. Some of the most prestigious government institutions have been using Colony Counter for decades. 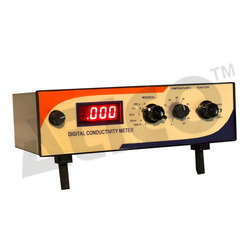 Conductivity Meter measures the electrical conductivity in a liquid solution. It is used extensively in the chemical & petrochemical industries. 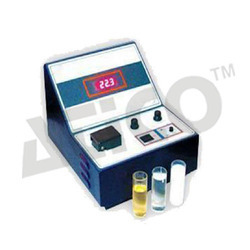 Conductivity meter also founds applications in Pharmaceutical as well as Food & Beverage Industries. 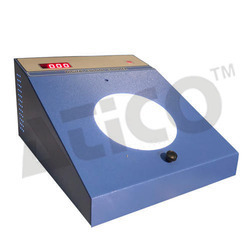 The Diary Industry also uses the Conductivity meter. 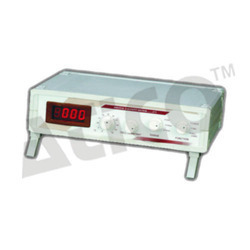 Conductivity meter is used extensively in the Private industries besides the colleges & universities are large buyers. A nephelometer is an instrument for measuring concentration of suspended particulates in a liquid or gas colloid. A nephelometer measures suspended particulates by employing a light beam (source beam) and a light detector set to one side (often 90°) of the source beam. Photoelectric Colorimeter can easily measure the ability of any solution to absorb the light waves of various wavelengths. 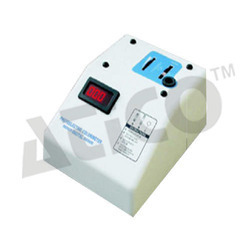 Photo electric colorimeter can be used to measure the growth rate of yeast or bacterial material. Digital Photoelectric Colorimeter finds usage in Pharmaceutical & Diary industries which are also its largest buyers. DO Meter is used by all the major mineral water manufacturing plants and beverage plants in India and also are exported in substantial numbers in Middle East in the desalination plants. 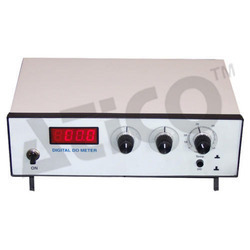 Digital Potentiometer are used to control the electric flow in an instrument. They are used by the Electrical & electronics industry in large numbers. 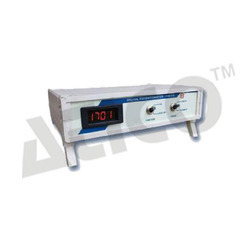 Lab Products has supplied large number of Digital Potentiometer to many government institutions and facilities who have been using the product for decades. Salinity meter is used to measure the salinity of water (or) the salt content in the water. Salinity meter can be used by large industries to the portable ones used for house hold purposed to check the salinity as well as the TDS of the water.